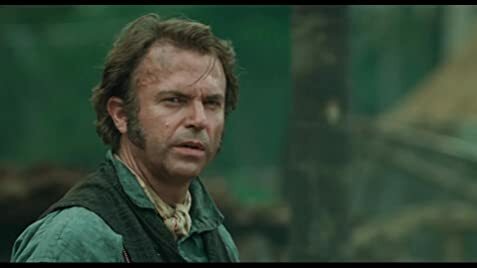 Favorite film about a pianist? Q: Is "The Piano" based on a book? 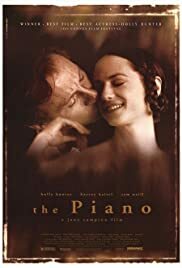 Q: Any recommendations for movies similar to "The Piano"? Q: What did Ada write on the piano key that she sent to George? If one wants to see true acting, just watch Hollie Hunter in this film. She does more with her facial expressions than twenty actors can with a thousand words. Her stature, her presence, her determination are so intense. One could feel sorry for her in places. She has been ripped from her world for reasons we cannot fathom. She has been deemed expendable. When she arrives she expects to be treated properly. Anna Paquin as her daughter settles into the new environment and begins to prosper. But it is not without sacrifice. The piano is the symbol of what was left behind. Her affair with the Maori is partly passion, partly payment. We never know how much of each. The performances are stunning across the board and, this time, worthy of Academy Awards. There are some very sensual scenes and scenes of great danger. There is pain inflicted and selfishness and power. Hollie Hunter rises above it all and makes her way through this quagmire (the rainy muddy jungle in this case), and arises, victorious in her own fashion. 50 of 79 people found this review helpful. Was this review helpful to you?